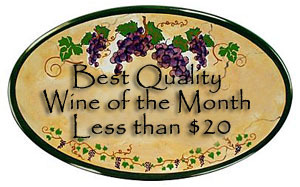 Synopsis, Our Opinion: An EXCELLENT Spanish Rose that was a GREAT value. 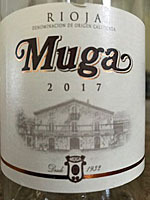 Producer/Winery: Bodegas Muga; Haro, Spain. Grape Variety: Rose blend – Tempranillo, Garnacha and Viura. 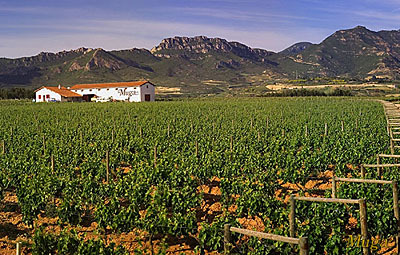 Geographic Appellation, Region, Country: Rioja, Spain. Chilled before drinking. Clear, salmon color. Strong strawberry, lemon, and pineapple aromas. Tart, DRY, light body and a 200-grit texture. Abundant zippy flavors of strawberry, lime, lemon, tomato ketchup and old fashion bubblegum. Abundant crisp acidity and a robust finish that was loaded with tartness, fresh strawberries and cherries. As the wine warmed there was a discord between the citrus acidity and the subtleties of the fruit flavors, but in the end we both said it was an EXCELLENT Spanish Rose that was a GREAT value. 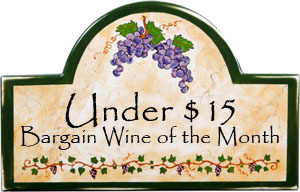 Comments: Learn more about Bodegas Muga and their wines. Imported by: Tryon Distributing Co; Charlotte, North Carolina.